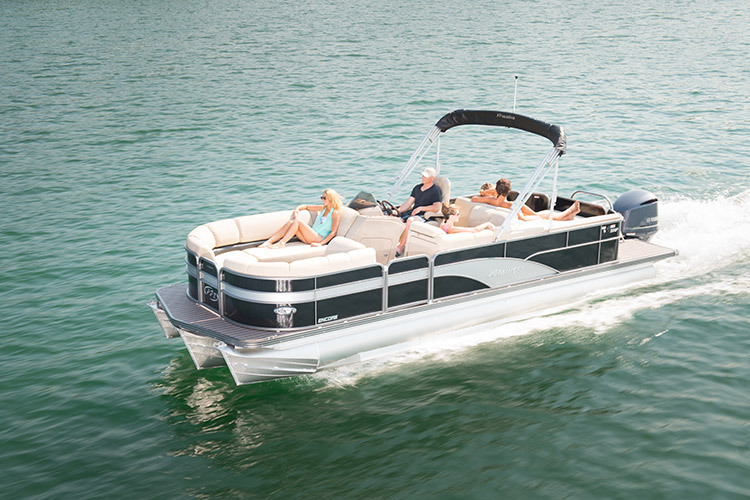 Demonstrates How Luxury and Affordability Can Live in Complete Harmony. 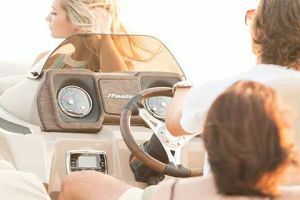 Top end luxury without the top dollar price tag – the Manitou Encore offers enviable performance and comfort, at an incredible price point. 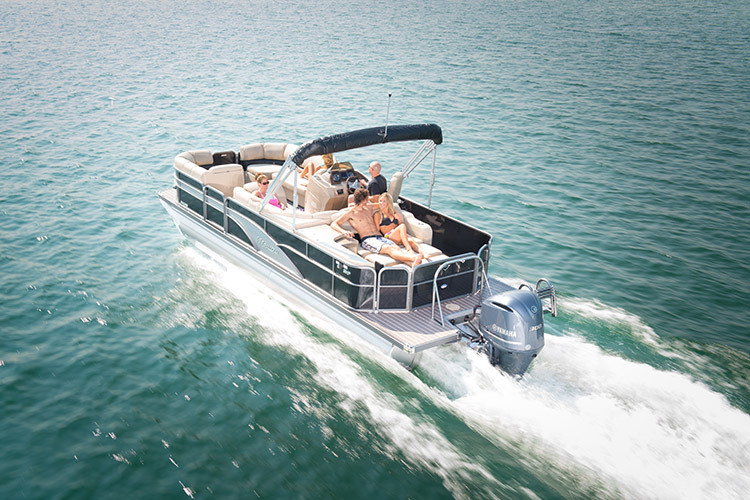 The Encore is also full of surprises on the open water, with very little it can’t do. You and your guests can enjoy the thrill of action water sports, entertain under the sun, or simply cruise the shore. 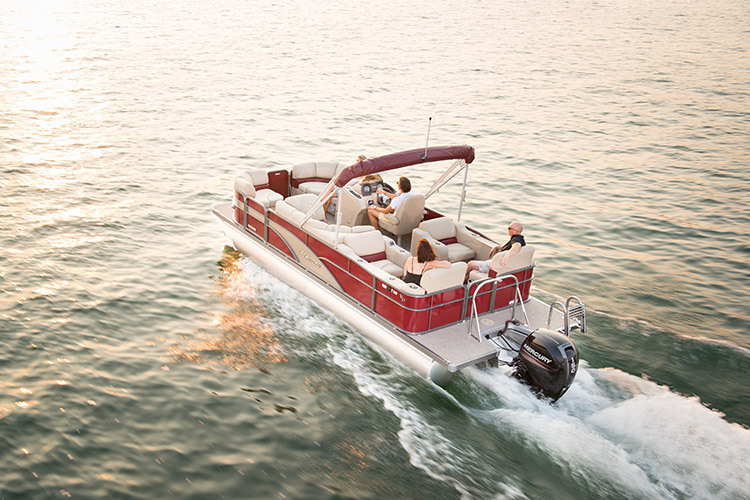 Whatever you wish. The Encore is available in three different floorplans with numerous options – including an ample sundeck with hidden toy box or a flip-down picnic table, if you wish. 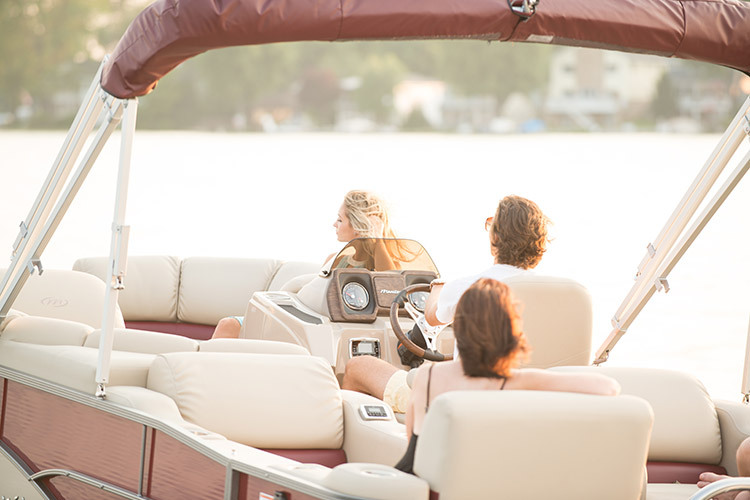 Make it your own, in every way imaginable! 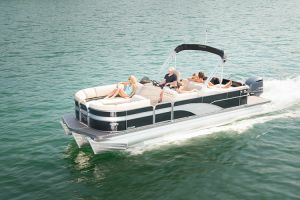 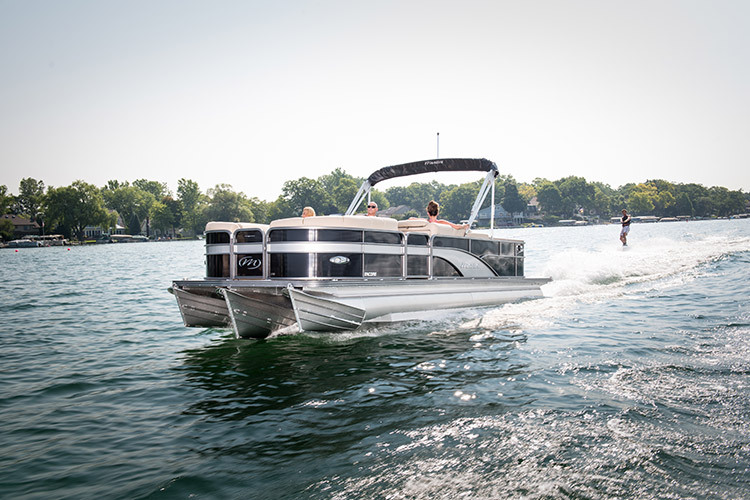 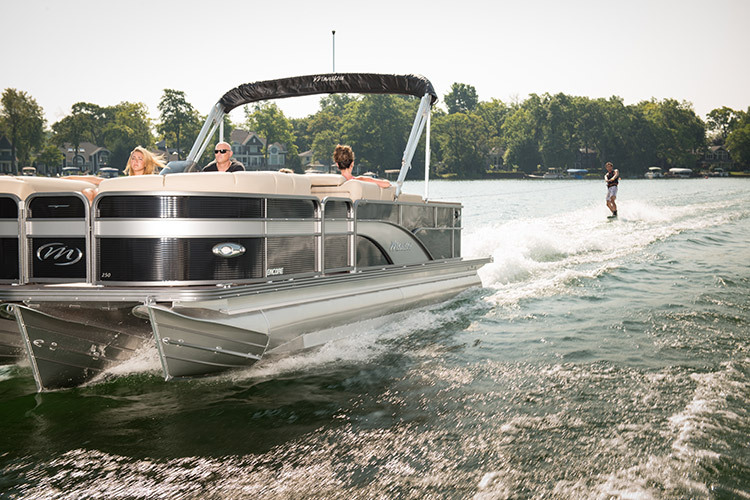 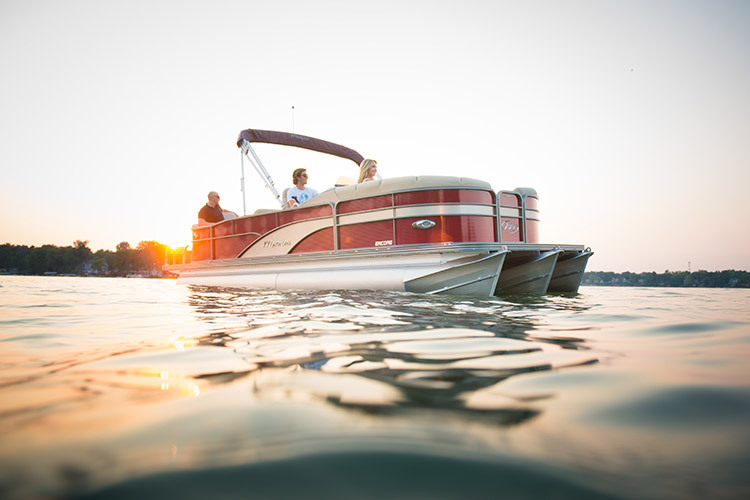 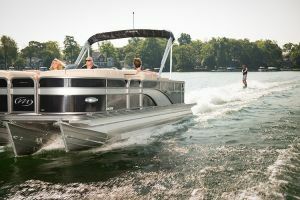 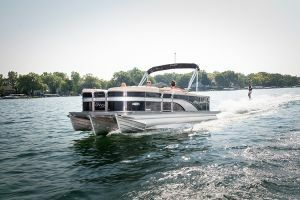 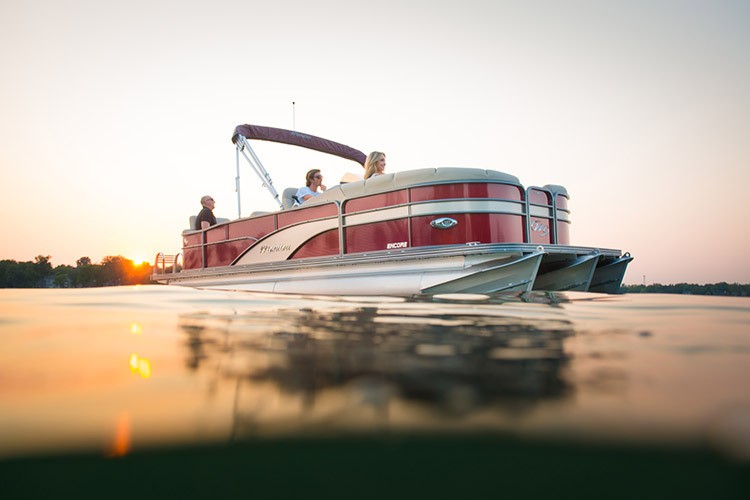 The 2015 Encore is the perfect platform from which to create a pontoon that will please everyone in the family. 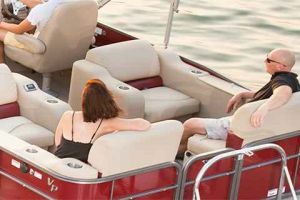 It offers comfort amenities such as pillow-top seating and a new, redesigned helm, as well as high-end entertainment features like the Polk radio with Polk speakers. 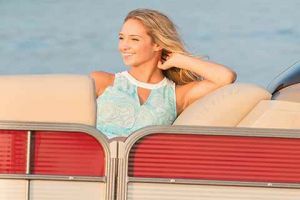 Also new this year are powder-coated railings throughout the boat, offering a brilliant finish to the boat of your dreams.